#Pari Fri 4.36 cr, Sat 5.47 cr, Sun 5.51 cr, Mon 2.14 cr, Tue 1.87 cr. Total: Rs 19.35 cr. India biz. Taran Adarsh had earlier reviewed Pari's weekend collection figures as "ordinary." Nevertheless, Anushka Sharma's performance has impressed the audience and critics alike. 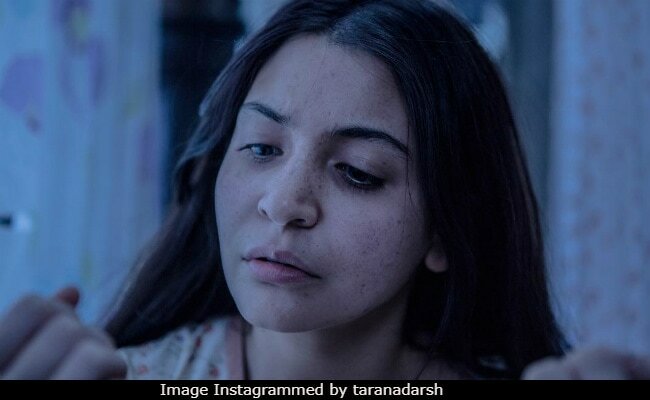 In his review for NDTV, Saibal Chatterjee wrote: "Pari will definitely be remembered for Anushka Sharma's spirited performance. It isn't difficult to see why she has put her money on the film. It gives her a role of substance and she does full justice to it." Directed by Prosit Roy, the supernatural thriller is Anushka Sharma's first film after she married Virat Kohli in December. Pari marks Anushka Sharma's third film as a producer - she co-owns Clean Slate Films with her brother. Previously, she's also produced 2015's critically acclaimed NH10 and last year's Phillauri, the story of a friendly ghost. Pari will soon be joined by two much awaited Bollywood films at the theatres - Raid on March 16 and Hichki on March 23.